Earlier today, I wrote about my concerns over how “Autism symptoms may make the TSA think you’re a terrorist“, in which their new “behavior screening” process is essentially them making conversation with you and looking for any “suspicious behavior” which may indicate that you are hiding something. At the same time, I emailed the TSA and asked them if they are going to include Autism and other special needs information for this training so as to avoid potentially embarrassing and very real damaging mistakes. Their reply email comes with a disclaimer that says that I can’t copy or distribute it (which is a tad strange for an email) but I can give you a breakdown of their response. The TSA has a special process for those with special needs/disabilities and what ever equipment/aides they may have. 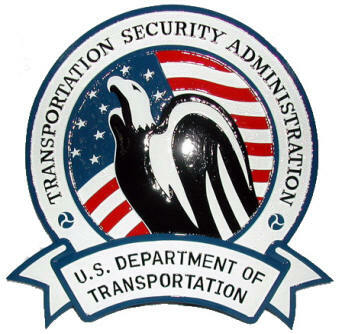 They take great care to include all areas (mobility, hearing, visual, and hidden) and has gone so far as to establish a coalition of more than 70 organizations that can instruct and train the TSA on their related conditions and issues. They didn’t say how all of that would be included or associated with the new program they are testing at Boston’s Logan airport but one would assume that they’d make sure that those issues are brought to everyone’s attention. The TSA has developed some cards which you can download (http://www.tsa.gov/assets/pdf/disability_notification_cards.pdf) and fill in. Obviously, as it says, it doesn’t exempt you from screening/questions but it will help to get your message across. Also, in their email, they advise that anyone travelling with a person that has special needs/disability to voice their concerns and needs to the TSA officers. The cards are a little more discreet though, than having a conversation about it in front of everyone. If you need them later and forget about this post or the direct link, just visit http://www.tsa.gov/and search for “notification card” in their search box. Well, they answered my question and didn’t… I still have some concerns. As I said in the first post, terrorists could take these steps which would mean they fake a special need in an attempt to get through the process. Still though, it is a great first step and it shows that they are fully aware and doing their best to include special needs into their process. There was a lot more about the program and how it works in the email as well, which was quite nice of them. However, as I said, I’m not supposed to “distribute” it or anything. I’m sure though, if you have questions, they will provide you with answers as well. I am a TSA screener as well as a mother of an High functioning Autistic Son. There are many of us out there. Yes they do trainings on various disabilities and the ways we deal with screening varies. The new behavior screening is in the beginning phase. The best advice I can offer anyone traveling is..be honest with the screeners so that they can clear you as easily as possible. Plan for adequate time at the airport. TSA is also testing programs for allowing autistic individuals/children to have separate experience since usually the noise and sensory overload of the screening checkpoint can be very difficult for autistic indivduals. Just talk through the process and ask for accomidations that you need. Most times if they can do it then they will. But if you do not make them aware at the beginning then it is hard to change midway through. I’m flying in December with my pretty high functioning son. But some of his triggers are definitely present at the airport… I’m really afraid of being kicked off the plane due to him screaming… Or telling us we can’t continue on our flight after our layover! How is a non-answer in a form letter a hood step? For one, there is no law preventing distribution of an email, once it is sent it is public whether there is a disclaimer or not. TSA is not taking any positive steps here and will continue to abuse children, the elderly and handicapped. The writer is delusional if he perceives this as an improvement. Wishful thinking won’t make things better so expect your child to get groped when you go through the Logan airport. I didn’t say it was a law, I said it was a disclaimer asking that I not distribute or copy it. I respect the wishes of others… even the TSA. And getting insight and information from over 70 organizations on various disabilities and disorders is encouraging. I may be delusional but just the fact that they’re aware and thinking about special needs people is more than I would have expected from them. Perhaps it’s not a perfect system but hoping for a system to go from flawed to perfect over night is far more “wishful thinking”, in my opinion. I won’t dismiss the small, positive steps as a “non-answer” just because I demand perfection as their first step. It’s definitely a step in the right direction. I flew with my 5 y/o autistic son soon after the new procedures started, & I was a nervous wreck worrying how he’d be affected. I found that confidently asking one if the screeners at the beginning of the line, “Do you have a line for people with special needs?” got us sent to the shortest line with the minimum of hassle. I also carried a letter from his dr briefly explaining his condition just in case there was a problem the airport or airline staff.